The walking Dead is a cinematic type adventure game of selection from the Developer Telltale games, when player makes the decision it influence the flow of story. Player will tap and swipe to kill zombies and ultimately discover what separated from Michonne and what brought her back to her friends in this 3-part miniseries. It’s the game developed by Tealltale, so you can expect great production values with cinematic sounds and graphics. 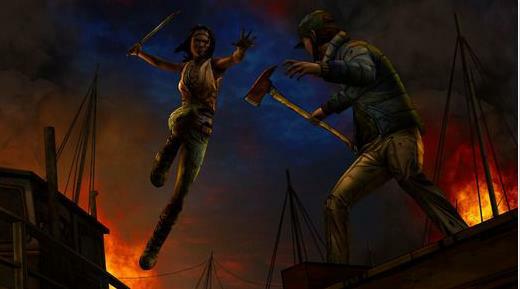 Quality of the game is fantastic as the game features a complex and deep story of loss and regret of michonne. And game puts its effort to fill the blanks left in iconic characters in the “walking dead” series. Next articleThe little fox is a Hexagonal runner game with beautiful low-poly graphics design.